As I stated on my biography page, my background was originally in art—not genetics. When I started writing about horse color, I was primarily speaking to other artists, so it made sense to use a visual framework to explain it. I wanted to organize the concepts about horse coloration in a way that would resonate with my audience, and that would make a rather technical subject seem less intimidating. That visual approach can be seen in the slides that I put together for a presentation I made fifteen years ago. Every horse’s color, no matter how complex, can be reduced to a base color + modifiers. Every modifier has a version for each base color (although not all combinations result in a visible alteration). The visual framework has proven to be a very effective way to present the story of horse color, not just to artists, but to non-scientists in general. 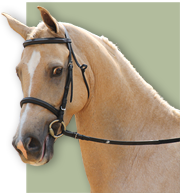 It certainly is the most common approach taken by online horse color resources. It is how I laid out my own book. It is not, however, the only way to tell this story. In some cases, it isn’t necessarily the simplest way to tell the story. The visual framework can invite certain misunderstandings, like the idea that “bay is a modified form of black“. It also leaves out a concept that is pretty central to the science of genetics, which is that of a wild-type. I talked a bit about that in a previous post. Recent discoveries about the color dun (D) have given that idea new relevance, which will be the subject of my next post. But for now, what I want readers to consider is that the visual framework is just one way to tell the story of horse coloration. And really, that is all the whole concept of “base + modifier” is: a way to tell this story. It is not the science of coat color genetics itself, but a way to talk about it. There are others. We can also tell the story from an evolutionary perspective. That story might go something like this. At one time, wild horses were uniformly bay dun, or perhaps more likely—given the appearance of other wild equids like the Przewalski’s Horse above—mealy wild bay dun. Their coloration was the result of a pigmentary process, controlled by a number of genes. While still in the wild, mutations to those genes changed part of that process, which in turn changed the color of the horses. Later, as horses were domesticated, additional mutations were selected for by human beings because they found them appealing or felt that the new color better served a particular purpose. This is quite a different way of looking at horse color. Someone coming from a visual framework, looking at a yellow dun horse, would think of dun as a “modifier of bay”—as something added to the “normal color” of a horse. But from an evolutionary standpoint, bay dun is the wild-type, and our visual explanation is actually backwards. Dun was not added to bay, but rather dun horses became bay because something (a mutation) happened to remove the dun. The wide range of equine color came about in the same way; the wild-type coloration was altered by a variety of mutations, each of which changed some aspect of the original pigmentation of the species. Telling the story of when and how those changes came about is another way to explaining horse color. The wild-color for horses is bay dun. This is no longer speculation, but knowledge gained from multiple studies that involved the testing ancient remains. Fairly early, the ancestors of domestic horses acquired a mutation to partially—but not fully—remove the dun coloration. They also acquired a mutation that resulted in progressive loss of color in the coat (Leopard Complex). Mutations to the sites controlling black and red pigment resulted in all-black and all-red phenotypes. Another mutation in domestic horses resulted in individuals with no sign of the dun coloration. Additional mutations occurred giving diluted phenotypes as well as those with white (depigmented) areas. These are believed to have been retained and selected for because human beings liked them. Among modern domestic horses, individuals still appear carrying new mutations. This is particularly true for white markings or patterning. What I have described are two very different ways of explaining horse color. I want to be clear that I am not saying that teaching horse color from a visual standpoint is incorrect, or that anyone should stop using it. I will be guest lecturing this upcoming Tuesday, using the slide at the top of the post, so obviously I haven’t overhauled my own approach! But I think it is worthwhile to point out that there are many ways to talk about horse color. They all have their strong points and their pitfalls. Certainly the visual approach is easier for many non-scientists because horse color is such a visual subject. But for those that want to explore the subject further, it can actually be a bit disorienting to read published papers or textbooks on animal coloration, because the evolutionary point of view is the scientific framework for that setting. It is also a more logical framework when the subject veers into the history of domestication and differentiation in horses, because it takes into account chronology. That means that at times an evolutionary framework might make a lot of sense, even for people who were originally taught a visual approach. It happens that discussing the recent discovering about dun is one of those times. So, we’ll be using a slightly different framework of understanding on the blog in the coming weeks. I am going to ask that readers more familiar with “base and modifiers” set that aside for just a bit while we tell the story of horses and their colors a slightly different way.